Begging the question is an informal fallacy that occurs when an argument's premises assume the truth of the conclusion, instead of supporting it. It is a type of circular reasoning: an argument that requires that the desired conclusion be true. This often occurs in an indirect way such that the fallacy's presence is hidden, or at least not easily apparent. The phrase begging the question originated in the 16th century as a mistranslation of the Latin petitio principii, which actually translates to "assuming the initial point". In modern vernacular usage, "begging the question" is often used to mean "raising the question" or "dodging the question". In contexts that demand strict adherence to a technical definition of the term, many consider these usages incorrect. Africa is the largest continent because it has the greatest area of any continent. Both these arguments are logically valid if one assumes the initial premise is correct, then the conclusion logically follows. But they are flawed because assuming the initial premise is valid also means assuming the conclusion is as well. The original phrase used by Aristotle from which begging the question descends is: τὸ ἐξ ἀρχῆς (or sometimes ἐν ἀρχῇ) αἰτεῖν, "asking for the initial thing." 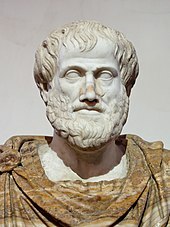 Aristotle's intended meaning is closely tied to the type of dialectical argument he discusses in his Topics, book VIII: a formalized debate in which the defending party asserts a thesis that the attacking party must attempt to refute by asking yes-or-no questions and deducing some inconsistency between the responses and the original thesis. In this stylized form of debate, the proposition that the answerer undertakes to defend is called "the initial thing" (τὸ ἐξ ἀρχῆς, τὸ ἐν ἀρχῇ) and one of the rules of the debate is that the questioner cannot simply ask for it (that would be trivial and uninteresting). Aristotle discusses this in Sophistical Refutations and in Prior Analytics book II, (64b, 34–65a 9, for circular reasoning see 57b, 18–59b, 1). The term was translated into English from Latin in the 16th century. The Latin version, petitio principii, "asking for the starting point", can be interpreted in different ways. Petitio (from peto), in the post-classical context in which the phrase arose, means assuming or postulating, but in the older classical sense means petition, request or beseeching. Principii, genitive of principium, means beginning, basis or premise (of an argument). Literally petitio principii means "assuming the premise" or "assuming the original point". Aristotle's advice in S.E. 27 for resolving fallacies of Begging the Question is brief. If one realizes that one is being asked to concede the original point, one should refuse to do so, even if the point being asked is a reputable belief. On the other hand, if one fails to realize that one has conceded the point at issue and the questioner uses the concession to produce the apparent refutation, then one should turn the tables on the sophistical opponent by oneself pointing out the fallacy committed. In dialectical exchange it is a worse mistake to be caught asking for the original point than to have inadvertently granted such a request. The answerer in such a position has failed to detect when different utterances mean the same thing. The questioner, if he did not realize he was asking the original point, has committed the same error. But if he has knowingly asked for the original point, then he reveals himself to be ontologically confused: he has mistaken what is non-self-explanatory (known through other things) to be something self-explanatory (known through itself). In pointing this out to the false reasoner, one is not just pointing out a tactical psychological misjudgment by the questioner. It is not simply that the questioner falsely thought that the original point, if placed under the guise of a semantic equivalent, or a logical equivalent, or a covering universal, or divided up into exhaustive parts, would be more persuasive to the answerer. Rather, the questioner falsely thought that a non-self-explanatory fact about the world was an explanatory first principle. For Aristotle, that certain facts are self-explanatory while others are not is not a reflection solely of the cognitive abilities of humans. It is primarily a reflection of the structure of noncognitive reality. In short, a successful resolution of such a fallacy requires a firm grasp of the correct explanatory powers of things. Without a knowledge of which things are self-explanatory and which are not, the reasoner is liable to find a question-begging argument persuasive. Thomas Fowler believed that Petitio Principii would be more properly called Petitio Quæsiti, which is literally "begging the question". To "beg the question" is to put forward an argument whose validity requires that its own conclusion is true. Also called petitio principii, the fallacy is an attempt to support a claim with a premise that itself presupposes the claim. It is an attempt to prove a proposition while simultaneously taking the proposition for granted. Given the single variable C (claim), "begging the question" is an attempt to assert that C → C. In two variables, C (claim) and P (premise), it attempts to pass (C → P) → C as the valid claim P → C. This is a form of circular reasoning, and may involve any number of variables. When the fallacy of begging the question is committed in more than one step, some authors dub it circulus in probando (reasoning in a circle) or, more commonly, circular reasoning. Begging the question is similar to the complex question (also known as trick question or fallacy of many questions): a question that, to be valid, requires the truth of another question that has not been established. For example, "Which color dress is Mary wearing?" may be fallacious because it presupposes that Mary is wearing a dress. Unless it has previously been established that her outfit is a dress, the question is fallacious because she could be wearing pants instead. Many contemporary English speakers use beg the question to mean "raise the question", "invite the question", "bear the question", "suggest the question," "evade the question", or even "ignore the question", and follow that phrase with the question, for example: "I own more skateboards than any other person I know, which begs the question: why haven’t I ever learned to ride one?" For grammatical reasons and because the term has a specific, different meaning in philosophy, logic, and law, some commenters note that such usage is mistaken, or at best, unclear even as sources such as the Merriam-Webster Dictionary and non-prescriptivist critics acknowledge the usage of the phrase as a synonym for “raises the question” as popularly accepted. Look up begging the question in Wiktionary, the free dictionary. ^ Corbett, Philip B. (25 September 2008). "Begging the Question, Again". After Deadline Blog. Retrieved 7 June 2017. ^ Kretzmann, N.; Stump, E. (1988). Logic and the Philosophy of Language. The Cambridge Translations of Medieval Philosophical Texts. Volume 1. Cambridge University Press. p. 374. ISBN 978-0521280631. LCCN 87030542. One sort of petitio is common, and another is dialectical; but common petitio is not relevant here. A dialectical petitio is an expression that insists that in the disputation some act must be performed with regard to the statable thing [at issue]. For example, "I require (peto) you to respond affirmatively to 'God exists,'" and the like. And petitio obligates [the respondent] to perform an action with regard to the obligatum, while positio obligates [him] only to maintain [the obligatum]; and in this way petitio and positio differ. ^ a b Schreiber, S.G. (2003). Aristotle on False Reasoning: Language and the World in the Sophistical Refutations. SUNY Series in Ancient Greek Philosophy. State University of New York Press. pp. 99, 106, 214. ISBN 978-0791456590. LCCN 2002030968. It hardly needs pointing out that such circular arguments are logically unassailable. The importance of the Prior Analytics introduction to the fallacy is that it places the error in a thoroughly epistemic context. For Aristotle, some reasoning of the form "p because p" is acceptable, namely, in cases where p is self-justifying. In other cases the same (logical) reasoning commits the error of Begging the Question. Distinguishing self-evident from non-self-evident claims is a notorious crux in the history of philosophy. Aristotle's antidote to the subjectivism that threatens always to debilitate such decisions is his belief in a natural order of epistemic justification and the recognition that it takes special (dialectical) training to make that natural order also known to us. ^ Welton (1905), 279., "Petitio principii is, therefore, committed when a proposition which requires proof is assumed without proof." ^ Walton, Douglas (1992). Plausible argument in everyday conversation. SUNY Press. pp. 206–207. ISBN 978-0791411575. Wellington is in New Zealand. Therefore, Wellington is in New Zealand. ^ Dowden, Bradley (27 March 2003). "Fallacies". Internet Encyclopedia of Philosophy. Retrieved 5 April 2012. ^ Nolt, John Eric; Rohatyn, Dennis; Varzi, Achille (1998). Schaum's Outline of Theory and Problems of Logic. McGraw-Hill Professional. p. 205. ISBN 978-0070466494. ^ Meyer, M. (1988). Questions and Questioning. Foundations of Communication. W. de Gruyter. pp. 198–199. ISBN 978-3110106800. LCCN lc88025603. ^ Walton, D.N. (1989). Informal Logic: A Handbook for Critical Argument. Cambridge University Press. pp. 36–37. ISBN 978-0521379250. LCCN 88030762. ^ H.W. Fowler, A Dictionary of Modern English Usage. Entry for ignoratio elenchi. ^ Houghton Mifflin Company (2005). The American Heritage Guide to Contemporary Usage and Style. p. 56. ISBN 978-0618604999. LCCN 2005016513. Sorting out exactly what beg the question means, however, is not always easy—especially in constructions such as beg the question of whether and beg the question of how, where the door is opened to more than one question. [...] But we can easily substitute evade the question or even raise the question, and the sentence will be perfectly clear, even though it violates the traditional usage rule. ^ "Beg the Question". Retrieved 3 November 2018. Martin, Robert M. There Are Two Errors in the Title of This Book: A sourcebook of philosophical puzzles, paradoxes and problems. Broadview Press, 2002. ISBN 1-55111-493-3.